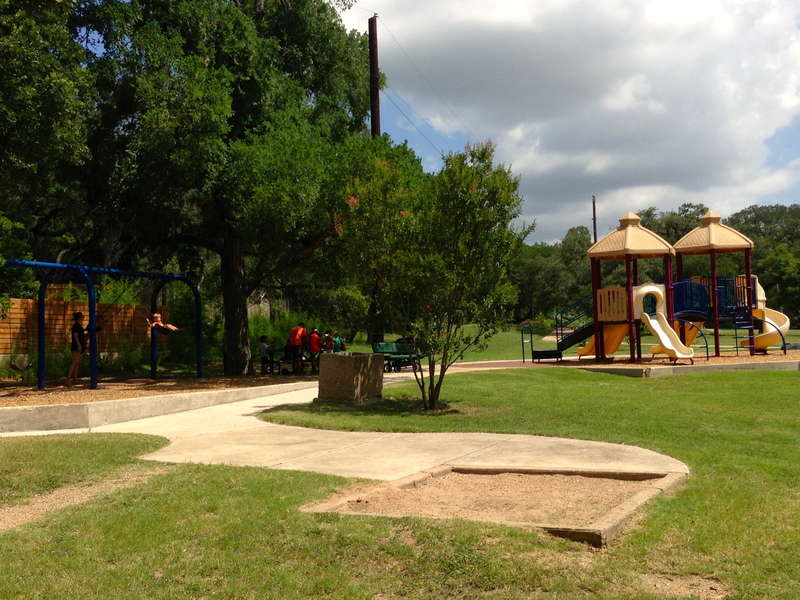 Shade: The playscape is in the sun but the swings sit in a nice group of shade trees. The pool is partially shaded. 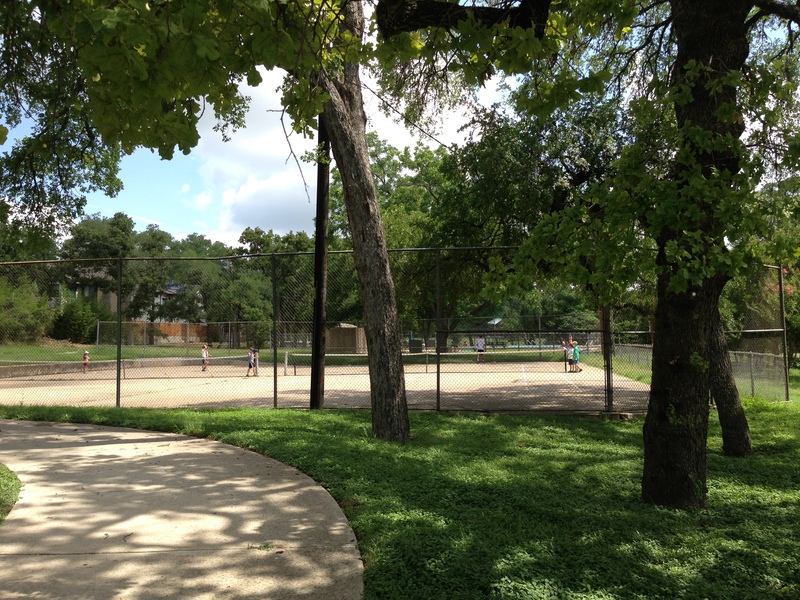 Tennis courts are in full sun as are the ball field and sport court. Pool Info: Free. The pool is large and pretty straightforward – great for non-competitive (we’re talking to you, Deep Eddy!) lap swimming. There’s a wooden deck area to the side but not much surrounding lawn. It’s generally uncrowded. There are steps but no zero-entry or very shallow area for the littlest swimmers. Click here for pool hours. Parking: There’s no lot but there is shoulder street parking on the Winsted Lane (feeder road) side. You can also park on Bridle Path and cut through to the park but there is usually room on Winsted, which is more convenient. Picnic Tables: There are five picnic tables, nestled near the playscape and the sport court. The tables near the playscape are fully shaded. Notes: Just on the edge of Tarrytown, adjacent to Mopac, this park is surprisingly peaceful. When you’re in it, it’s fairly easy to block out the road noise. It may not be the prettiest of the neighborhood parks, but it’s got a lot to offer with its wide open spaces, large pool, tennis and sport court, ball field and playscape/swings. This park was the filming location of the 'Moon Tower' keg party in the 1993 movie 'Dazed and Confused' - Believe it or not!